The incidence of mental health problems in Israel is identical to the rest of the developed world. Mental disorders and related alcohol and substance abuse are among the biggest issues affecting young Israelis. Approximately 14% of 12-17 year olds and 27% of 18-25 years olds experience these problems each year. 75% of mental disorders emerge before the age of 25, and up to 50% of alcohol and substance abuse disorders are preceded by mental disorders. These disorders appear at a critical time in development and lead to individual and family-related distress, poor academic achievements and school/college dropout, unemployment, long-term disabilities and even early fatality. Over 80% of adolescent mental disorders are not diagnosed or treated properly. In Israel, only 34% of adolescents aged 14-17 years-old suffering from mental disorders seek professional help, due to inaccessible services, lack of knowledge and the stigma attached with seeking treatment. The public system offers intervention services only after diagnosis and has long waiting times, creating a large gap in care-giving at a critical time for young people. Mental health issues in the Israeli Defense Force are also very significant. In the decade to 2013, 237 soldiers committed suicide, meaning a soldier in Israel takes his own life on average once every two weeks. Establishing early intervention services has become critical, but despite of the broad scientific basis and emergence of similar projects around the world, such services have not been offered in Israel. headspace is a proven youth mental health model, established to create youth-friendly centres catering to the mental and emotional health needs of young people aged 12-25 by providing a multidisciplinary enhanced primary care structure or ‘one-stop shop’, with close links to locally available specialist services, schools and other community organizations. The aim is to improve the mental, social and emotional well being of young people by providing high quality, integrated, evidence-based services. The project is housed within Enosh, the Israel Mental Health Association and is based upon the clinical and strategic model of headspace Australia, which operates centres across Australia. headspace Australia run 86 centres, with 100 scheduled to be open by the end of 2016. Since opening, they have served over 130,000 young Australians. headspace welcomes any young person in distress who seeks help, by providing early intervention for mild to moderate mental health problems, including for example; anxiety, depression, alcohol and substance abuse, eating disorders, conduct, attention deficit and hyperactivity disorders, sexual identity and more. headspace provides a soft entry point that is more effective in attracting distressed young people into the service without labeling or prematurely “medicalizing” the problem. We aim to open our second centre in 2016 in the mixed Jewish-Arab city of Acre in Israel’s north. In 2014, the former Minister of Health, Ms. Yael German, declared headspace to be ‘a gift to the State of Israel’. The city of Bat Yam is home to approximately 160,000 people. About 30% of the residents are new immigrants from the FSU and the city has 4 major religious communities. Bat Yam is rated 6 out of 10 in the National Socioeconomic Index, and approximately 5% of households have 4 children or more. Thus, it is evident that the need for mental health services for young people in the city is vast, and is higher compared to other cities in Israel. Therefore, Enosh chose Bat Yam as the first location of our headspace Center. Due to the tremendous success we experienced in the Bat Yam Center, the demand for the services is constantly increasing, and we wish to expand the operation there. Thus, we are in need of support that will allow us to extend these vital services to many additional young Israelis in need. Community awareness – raise awareness and understanding of common youth mental health issues e.g. anxiety and depression, and contribute to an increase in the mental health literacy of young people. Training & education for a wide range of professionals who come into contact with young people in the community (educators, social services, health and community workers etc.). The headspace team is comprised of mental health professionals from different areas including clinical psychologists, clinical social workers and psychiatrists. In the future, family physicians and vocational and educational consultants will be incorporated. The centre’s treatment methods are evidence-based and supported by the latest scientific research. We have launched our Youth Ambassador Program and Advisory Committee to ensure that the needs of young people are at the centre of everything we do. headspace Israel aims to open centres across the country in order to achieve our vision. We have already helped hundreds of disadvantaged young people with mental health problems, and have the potential to help thousands. Similar to the Australian experience, we also hope to launch in parallel a service called eheadspace, a complimentary online counseling service, subject to available funding. Our partners: headspace Israel works in partnership with organisations committed to improving the well-being of young people in Israel including The National Insurance institute of Israel, Ministry of Education, The Ministry of Social Affairs And Social Services, Ministry of Health, The Municipality of Bat Yam, The Schneider Children’s Medical Centre of Israel, all major Health Management Organisations, the Academic College of Tel Aviv-Yaffo, the Interdisciplinary Centre in Herzilya, Philanthropic foundations and private donors. Enosh – The Israeli Mental Health Association promotes the welfare and rights of people dealing with psychiatric disabilities. 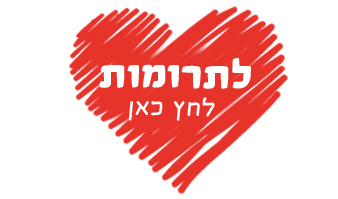 Established in 1978, Enosh is the only mental health agency in Israel that provides full and comprehensive solutions for rehabilitation within the community through 48 branches and 5 Family Counseling Centers spread nationwide from Kiryat Shmona to Eilat, encompassing development towns, peripheral cities and serving all sectors of society. Today we engage some 6,000 mental health consumers in a variety of programs including supportive housing, vocational rehabilitation, occupational training and workshops, social rehabilitation and family counseling. Such multi-dimensional services help improve the independent functioning skills and quality of life of those affected by psychiatric illness by breaking down barriers to their inclusion in society, facilitating their productive and active integration into the community, raising public awareness to mental health and eradicating social stigma associated with mental illness.